The Magick Wizard & The Wacky Broomstick: Organic Soy Massage Candles. How to make it yourself or available for purchase. 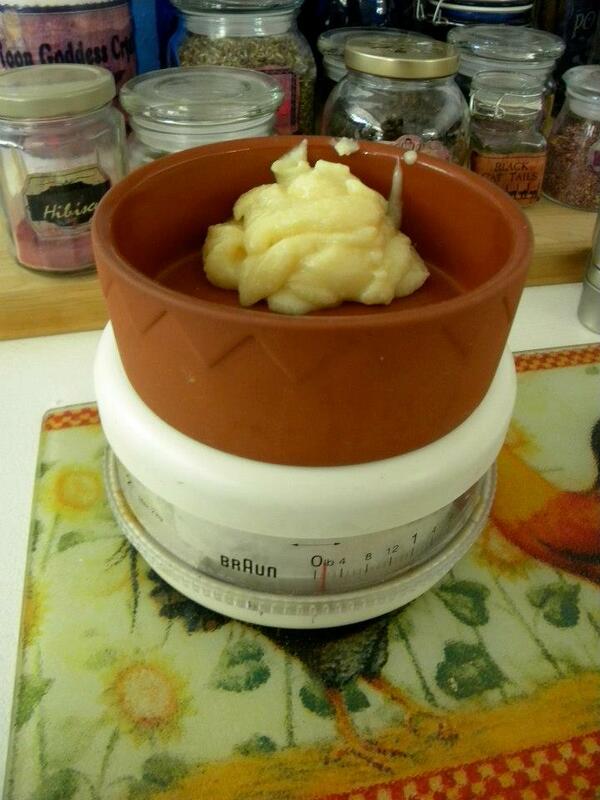 The melting point for Soy wax is very low and there’s no danger of burning the skin. I always recommend taking a hot bath with 4 lbs (yes, 4 pounds, is what really works) of Epson salts, when you are in a lot of body pain, from a heavy workout, fibromyalgia, arthritis or any of these bothersome painful ailments. Getting a massage with these candles, right after this bath is like stepping into a different world. When you’re done, I highly recommend following this with a little nap. *-Organic Essential Oils: 30 drops of Lavender, 20 drops of Peppermint, 15 drops of wintergreen, 10 drops of Marjoram. This is a simple, inexpensive but effective formula. 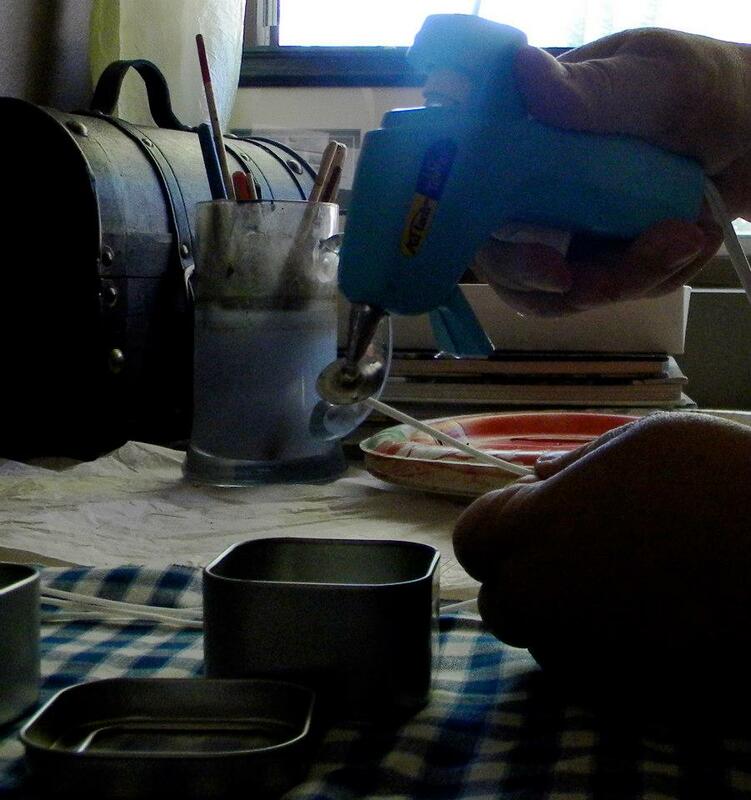 *-6 square tins (4oz size are good) Have a 7th tin just in case you have extras. 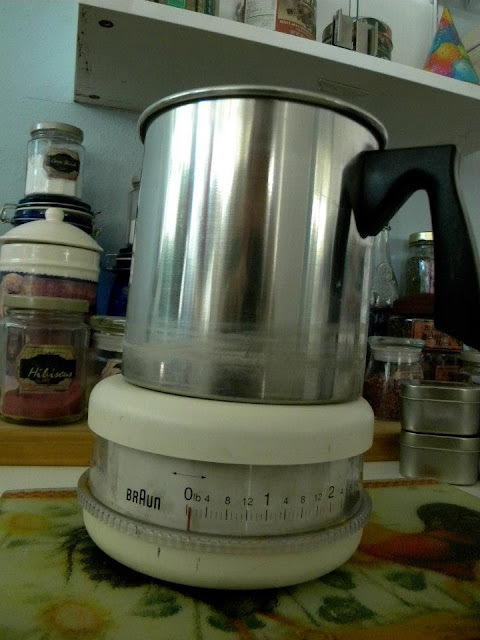 1.- Calibrate your scale to zero with the empty melting container on it. 2.- On a medium sized pot heat about 2 inches of water. Once it has boiled, reduce heat to the lowest setting. 3.-Place the soy wax in the Melting container (or large glass measuring cup) Place the melting pot in the water and warm slowly over very low heat, stirring slowly (occasionally)so it doesn’t create bubbles, until the wax is melted. 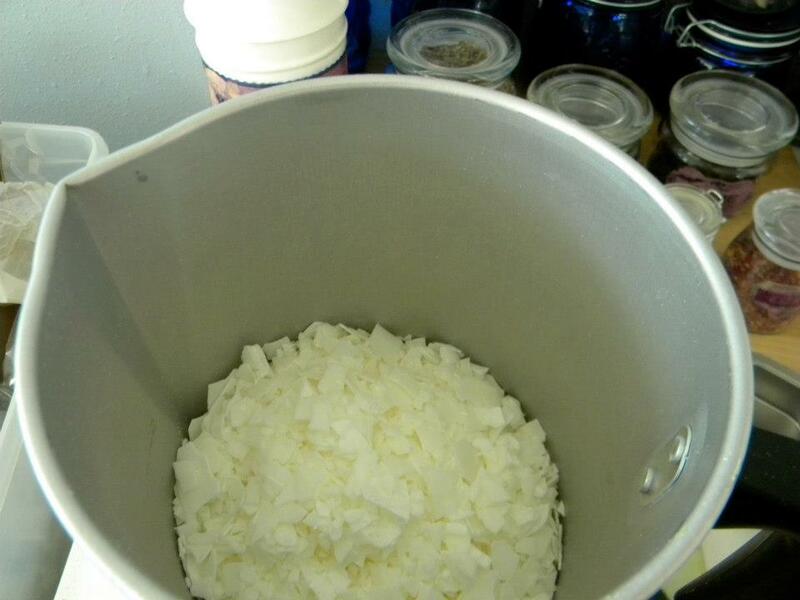 4.- While the wax melts (on low) get the containers ready. Using a hot glue gun, prepare your candle tins by glueing the candle wick to the bottom of the tin, and securing the wick with any stick. 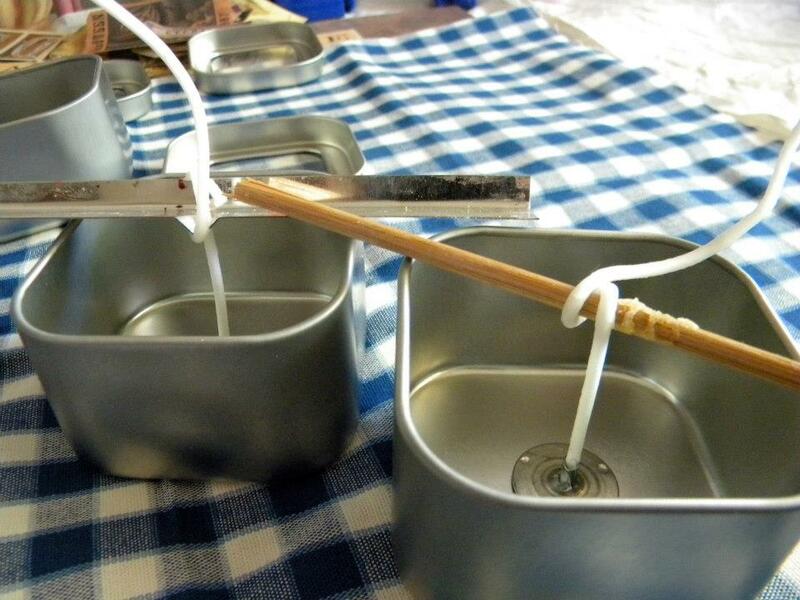 This will keep the wick from falling in the wax when you pour it. Never cut your wicks, until the end. 6.- Measure about 2 oz of the Mango Butter. Now add 2 oz of Almond Oil in the same dish (It will bring the scale reading to 4 oz). 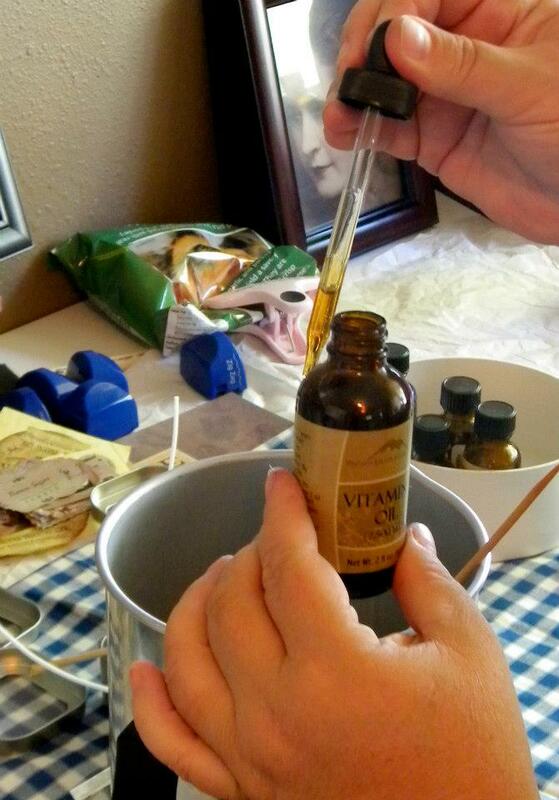 7.- Add the vitamin E oil to the same dish. 8.- NOW!!! 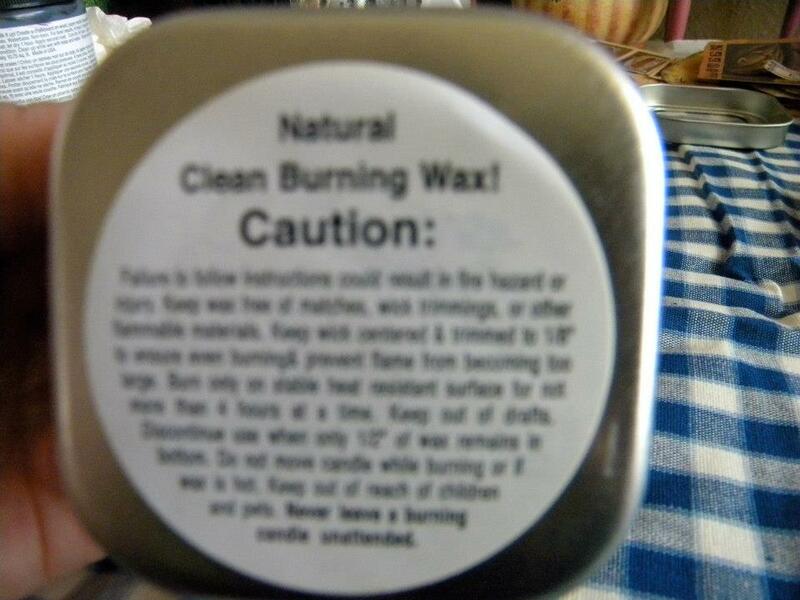 your wax should be completely melted, add the mixture of butters and oils to the wax, being very careful not to splatter.Stir slowly until all mixed and remove from the stove. 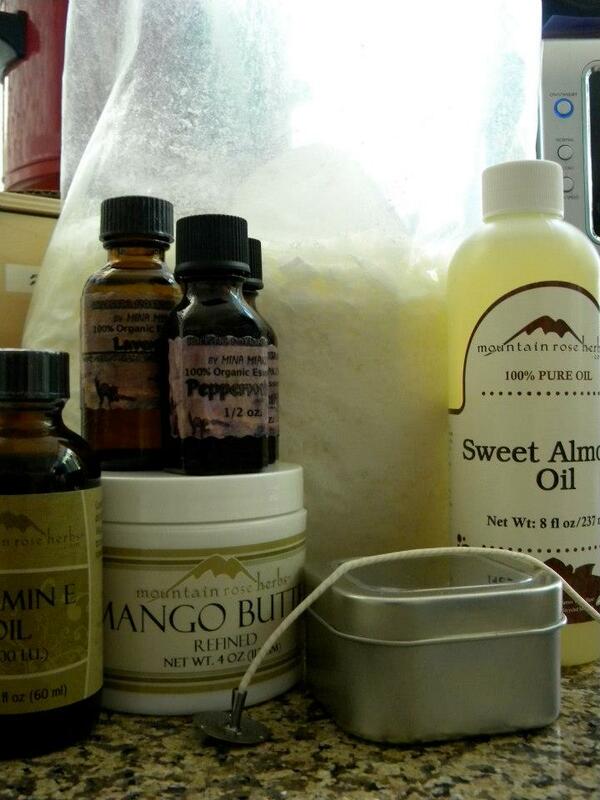 9.- Place your melting pot on a safe surface (on a towel) and carefully add your essential oils stirring slowly. Please do not add any colors, remember this goes on your skin. 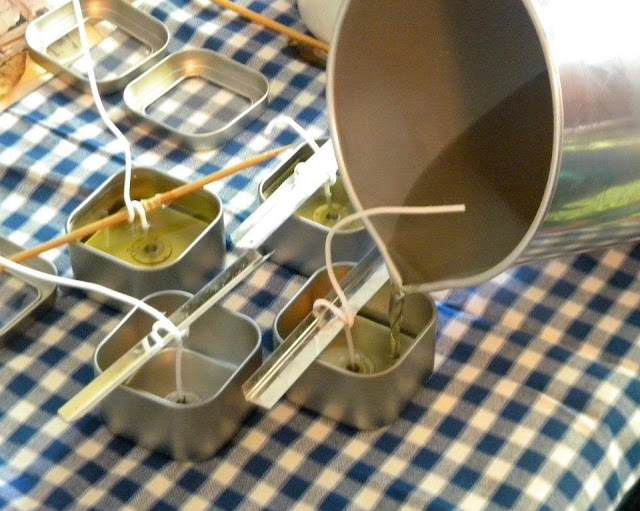 10.-Slowly pour the hot candle massage oil into the tin, making sure the wick stays centered. 11.-Let candle cool completely, about 5 to 6 hrs. Remove the sticks holding the wick in place and cut the wick to 1/4 inch. 12.- Label your Candle and make sure you place a Warning Label in the bottom part of your container, if you are planning to sell. 13.- Light it up, let the wax melt for about 30 minutes until the top part has liquified. 14.- Using the corner of your square tin, (warn the person you are going to massage that it will be warm)pour the melted wax directly onto the persons back. Or cup your hand and pour on your hand just like you would hot oil, and then on the person. For a provocative and sensual mix of Essential oils, try 30 drops sandalwood, 10 mandarin or tangerine, 5 drops of Jasmine,10 drops patchouli, 10 drops lavender, 3 drops of ylang ylang. A little advise,... in the past, I’ve had clients go purchase E/O’s and they where not pure and premixed with who knows what (alcohol, water, rancid oils) and their candle had sparks. Please purchase good oils if you can. And if you can’t afford all these oil, I totally understand, just get Lavender and it will be lovely. ENJOY THE MAGICK!!!! Disclaimer: We have repeatedly tested all of our products for many years on ourselves, clients, friends and family and never on animals. This product is not intended to diagnose, treat, cure or prevent disease and it is not a replacement for medical care. If you have a serious health problem, we recommend that you consult your Physician, before deciding on any course of self treatment. 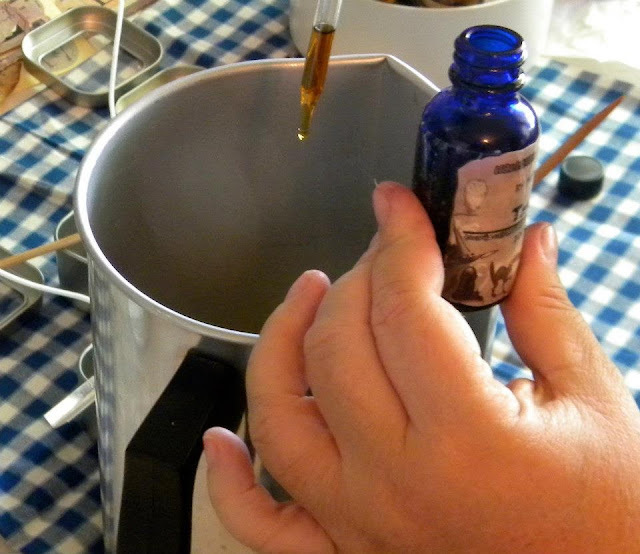 We pride ourselves in making small batches of homemade quality products, passed on to us from our ancestors, with a focus on Organic Clinical Aromatherapy and Certified Organic ingredients, which help to restore balance, to our earth, body, and mind. Our products are free of Petrochemicals, Parabens or Phthalates and they are Organic, Vegan & Cruelty Free. As an added bonus, they have been empowered under the moon, with the good intent of cleansing , purifying and bringing positive energy. By you purchasing our product, you agree that you are 18 years or older and you have read our disclaimer. May you always be Blessed with health. ALLERGY WARNING: Please NOTE, some of our products including massage candles, may contain Shea Butter and Sesame Seed oils. Do not use if you known you have allergies to any of these. Discontinue use of this product if you develop a rash. Thank you for so many years of informative natural healing. Have to say, I truly miss your healing hands! but totally understand your need to preserve your health. Love the foot cream and soy candles. Can hardly wait for the "pain" cream. Talk soon, my dear friend.